This is what Ted Nugent is obsessed with: The Great Backstrap. What is there to say, really? I mean venison loin and tenderloin are the primo cuts of meat on a deer, elk, moose or other four-footed cervid. They are lean, tender and requires nothing more than fire and salt as seasonings. Cooked medium-rare and seasoned simply is how I cook most of my backstraps, but I will often pair it with a sauce, a number of which are available here. 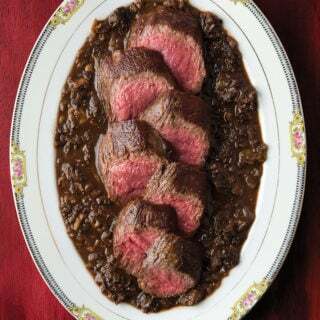 For general tips on cooking venison steak, here is an article on the subject I wrote for Petersen’s Hunting. Below are the venison backstrap recipes I enjoy. 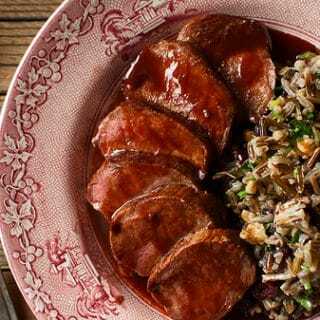 A classic dish, this is my favorite fancy way to serve venison backstrap. 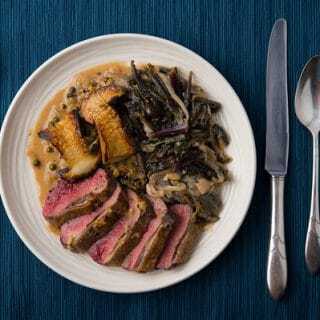 It is a century-old recipe updated for the modern kitchen. An Icelandic dish updated for the modern kitchen. This blueberry sauce (I used huckleberries) isn’t sweet and gloppy, unlike a lot of versions of this dish. 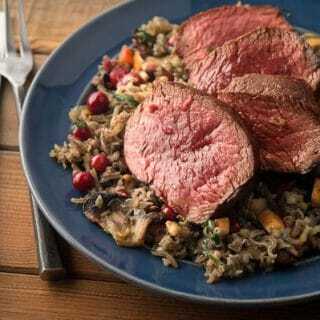 Venison steaks cooked simply with a fun wild rice pilaf. This pilaf is all about teaching you how to freestyle in the kitchen. 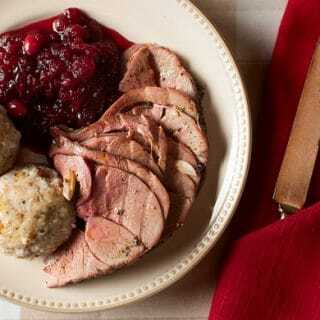 Wild game comfort food at its best, and I am pretty proud of my rendition of this classic. 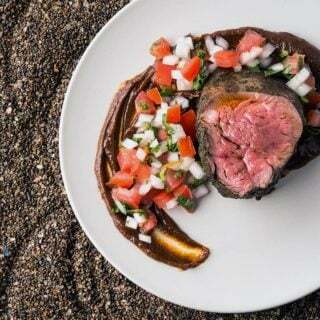 Simply seared tenderloin with an astonishingly deep and rich ancho chile sauce. When the weather’s hot out, move outside. 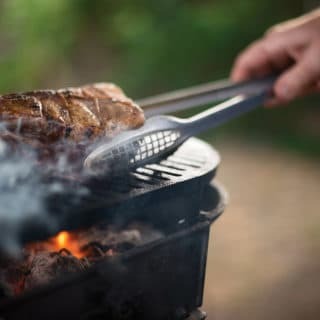 After lots of experiments, I’ve found that this is the best way to grill a venison loin. 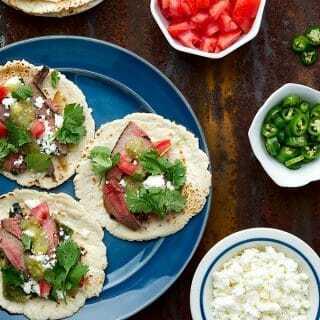 I love making these tacos with venison or elk flank or skirt steak, but it’s just as good with grilled backstrap, too. 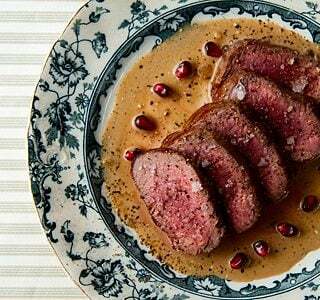 Simply seared venison backstrap served with what is, for many, the ultimate wild game sauce. 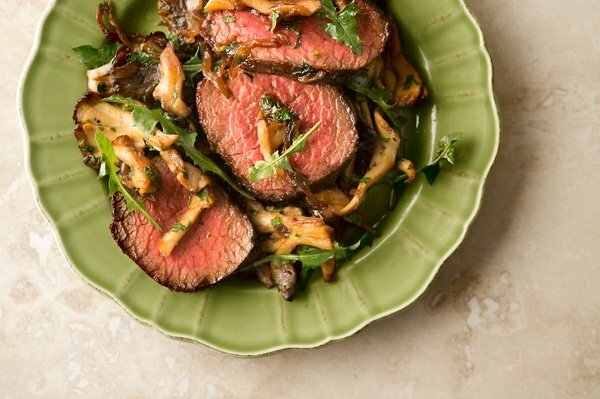 Combine three of my favorite ingredients — backstrap, caramelized onions and mushrooms — and this is what you get. Easy and really, really good. 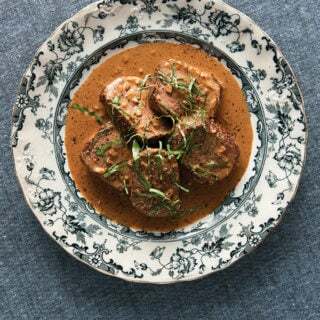 Another venerable dish, this one combines the woodsy flavors of gin and juniper, which work perfectly with the venison. 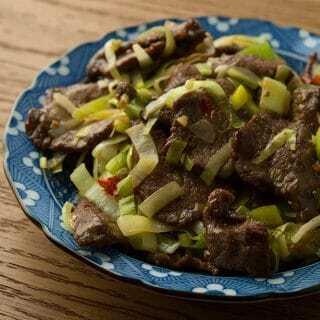 Yep, this is that French version of pepper steak we all know and love. Great with venison backstrap, or, as in the case of this photo, duck or goose breast. It’s easy to make and wonderful. Greek souvlaki is commonly served with lamb, but venison backstrap (or even leg meat) works great, too. It’s a little like Greek tacos, only with pita bread instead of tortillas, and tzatziki instead of salsa. 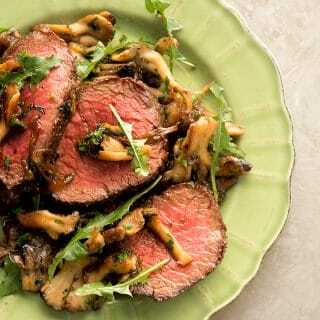 When life gives you mushrooms, make this recipe. 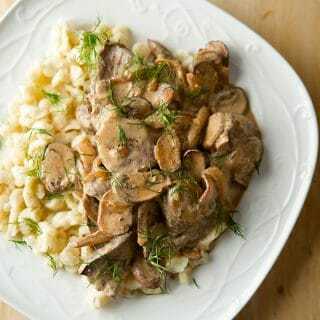 It is best with fresh or dried morels, but any good mushroom works well here. Like beef tartare? 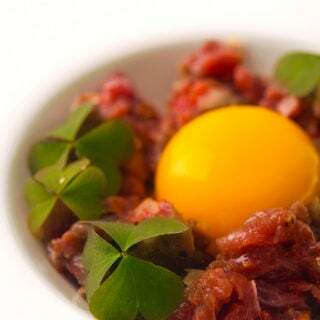 You will LOVE venison tartare. This version uses a super-fresh egg and Northern European flavors. 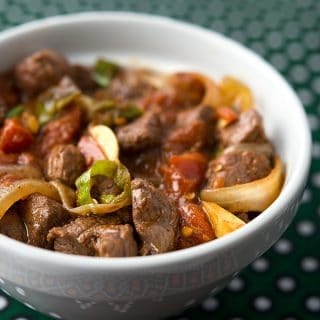 Funny name, but this is a super easy – yet exotic – hybrid stir fry and stew you make in minutes, using venison loin or sinew-free leg meat. 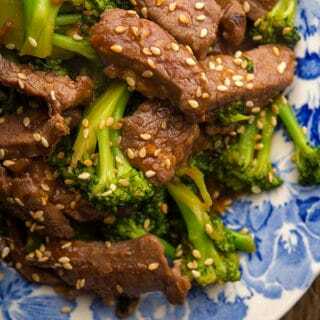 A perfect dish for slices of backstrap, this is just like the Chinese takeout version. Cumin? In Chinese food? You bet. 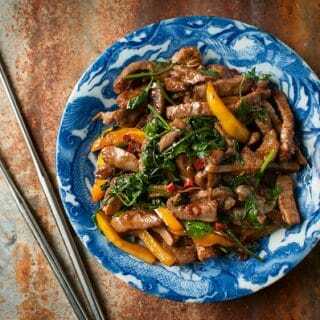 It’s a thing in northern China, and you’ll want to taste this dish, which is mild yet exotic-tasting. 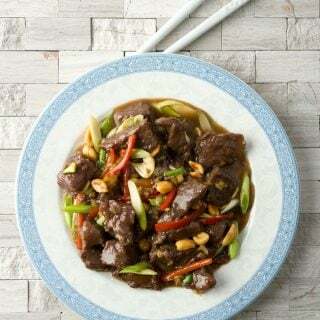 The Chinese restaurant classic made with venison instead of chicken. Yep, it’s just as good. 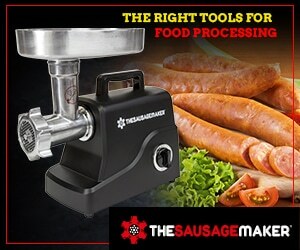 Easy to make, too. 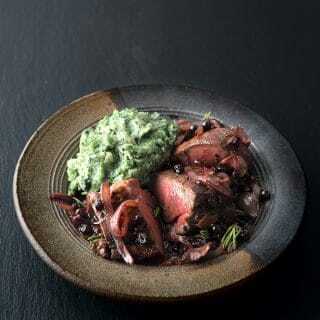 Grilled or seared venison backstrap smothered in a garlicky, herby Argentine sauce called chimichurri. 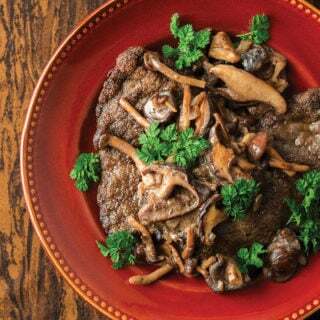 A German dish meaning “hunter’s schnitzel,” this is a cutlet — venison, duck, boar, etc — pounded very thin, barely dusted with flour and served with a mushroom sauce. Chanterelles are traditional, but button mushrooms are fine, too. 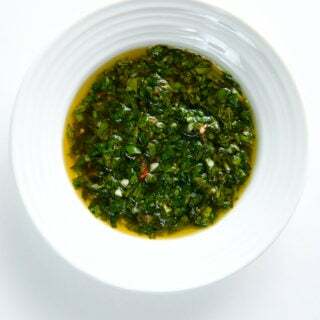 The bright, acidic sweetness of fire-roasted, preserved peppers, buzzed into a sauce, really works well with venison tenderloin or backstrap. 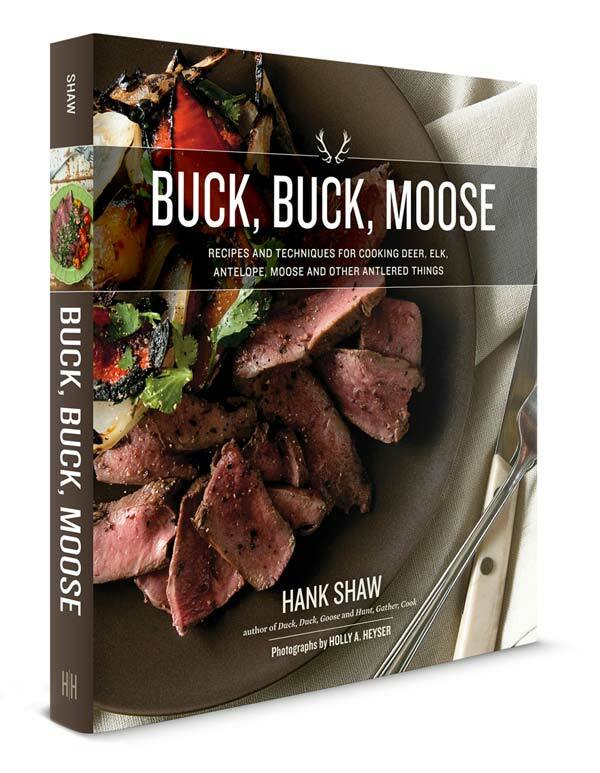 Explore a whole world of venison recipes from all over the world, covering every part of the deer, on Hunter Angler Gardener Cook!